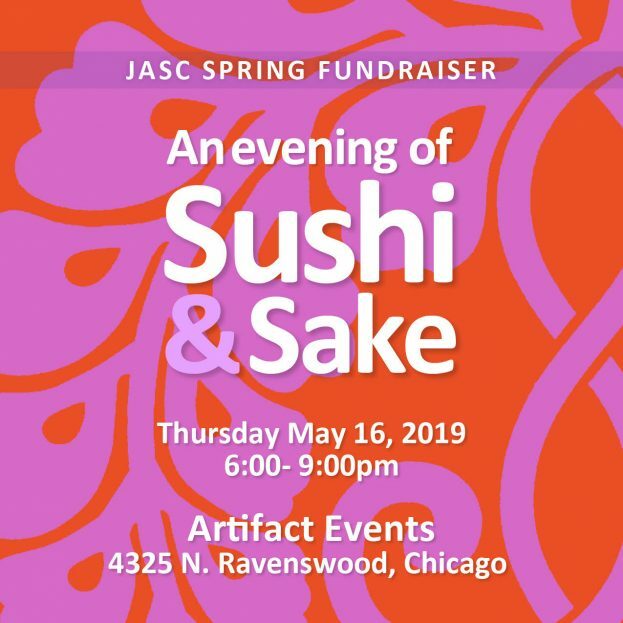 An Evening of Sushi & Sake: Spring Fundraiser 2019 Join us on Thursday, May 16 for a fun evening of Sushi & Sake at the beautiful Artifact Events space, 4325 N. Ravenswood in Chicago. 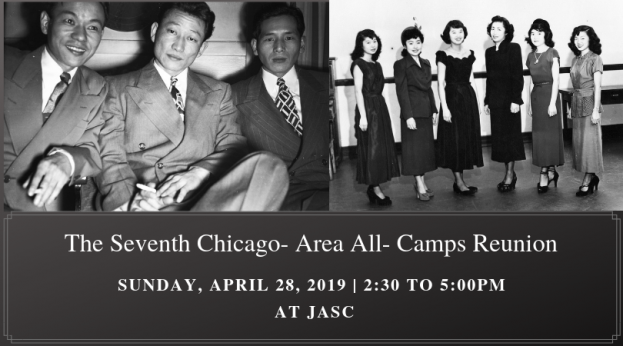 Origami All Day at JASC – June 29th Come join the Chicago Northside Origami Group and other paper folding enthusiasts for a day of origami fun! 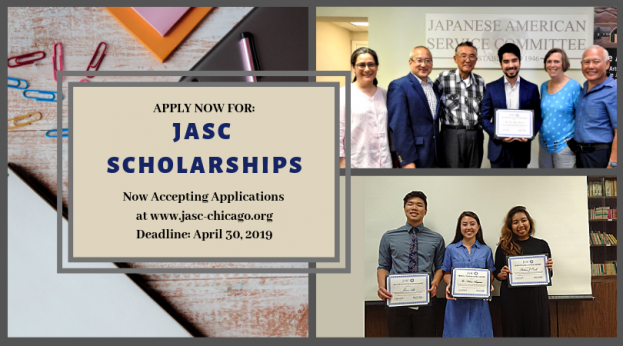 JASC 2019 Scholarships Apply now for JASC Scholarships. Click image for more information! 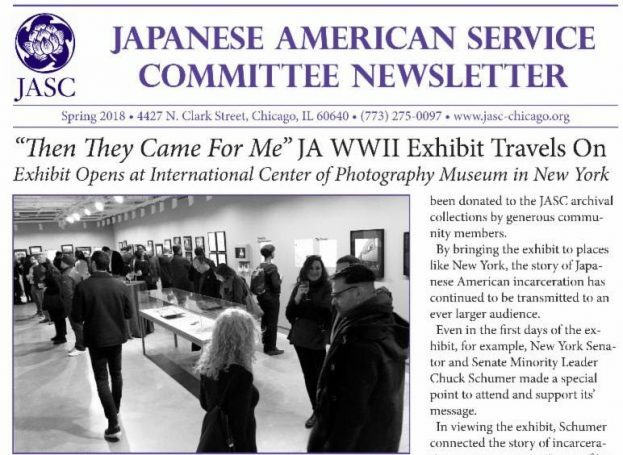 Spring 2018 JASC Newsletter Click the image to read the latest from JASC! 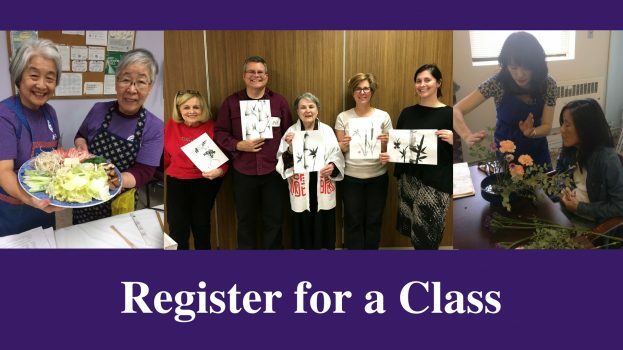 Register for a Class! Interested in learning more about Japanese culture? 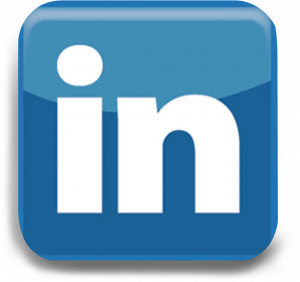 Why not take one of our classes?